After all the hard work you’re finally done. Now it’s time to celebrate! 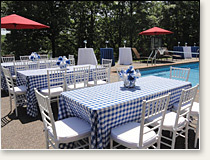 Let This Little Piggy Catering take the stress and worry out of your graduation party so you can… enjoy it. Our planners will help you with menu selection, rentals, preparation, or anything else to help make your graduation party the talk of your class.